﻿Lag B'Omer: Calendar, History, Tweets, Facts & Activities. 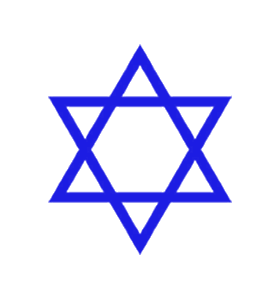 The Omer (Hebrew: ל״ג בעומר‎‎‎‎) refers to the 49 days between Passover and Shavuot. Lag B'Omer is the thirty-third day of counting of the Omer and falls on the lunar date of 18th Iyar (May). The counting of the Omer starts on the second day of Passover and culminates on the day before Shavuot (Pentecost). The Omer is mentioned in the Bible (Leviticus 23:15) And ye shall count unto you from the morrow after the day of rest, from the day that ye brought the sheaf of the waving; seven weeks shall there be complete. Jews were commanded to count the 49 days in accordance with this verse. Rabbi Akiva was a major leading scholar, who helped develop the Mishnah Tractates and Midrash Halakha. He was a wealthy educator, who lived in 1st-2nd Century and had thousands of pupils. From the 1st-33rd Omer, his pupils died by the thousand. Lag B'Omer was mentioned in the Talmud (Yevamot 62b) as being the day that his pupils stopped dying (24,000 had died). Lag B'Omer is celebrated as the day that Rabbi Shimon Bar Yochai died. Simeon bar Yochai, also known by his acronym Rashbi, was a famous 1st-century tannaic sage in ancient Israel, active after the destruction of the Second Temple in 70 CE. He was one of the most eminent disciples of Rabbi Akiva, and is attributed with the authorship of the Zohar, the chief work of Kabbalah. The day he died is celebrated as a Hillulah. It is customary to light a bonfire on the eve of Lag B'Omer and to celebrate with music and dancing around a bonfire. The Omer period, is considered a period of mourning for the pupils of Rabbi Akiva. According to tradition, they died because they did not show each other enough respect. During the Omer no weddings are held and it is customary not to have haircuts, nor to buy new clothes or shoes. The book of the Kabbalah, known as the Zohar, suggests that the counting of the Omer is to compensate for the 49 degrees of impurity of the Children of Israel in Egypt. On every day of the Omer, the counting repents for the impurity of the Jewish ancestors and brings this generation to a greater spiritual level. A blessing for the Omer is said every day and the day is counted, who sanctified us and commanded us to count the Omer and then the counting day from one to forty nine is recited in weeks and days. For example Today is the thirtieth day, which constitutes four weeks and two days of the Omer. Attend a Lag B'Omer Bonfire party which are popular at many Jewish communities. It is customary for some Orthodox Jewish boys to have their first haircut after their third birthday on Lag B'Omer. Others also have haircuts, having refrained from so doing in the previous 32 days of the Omer. Attend a Jewish Wedding. Lag B'Omer is a day on which many Jewish weddings are performed as the previous month had no such events. Attend a Lag B'omer parade which is performed at many Local Chabad organizations. Some popular Lag B'omer parades such as one in New York are broadcast over the internet.